“Ready for Sundance!” Efron tweeted on Thursday, following Wednesday’s announcement that the movie would be premiering at the Sundance Film Festival in January. 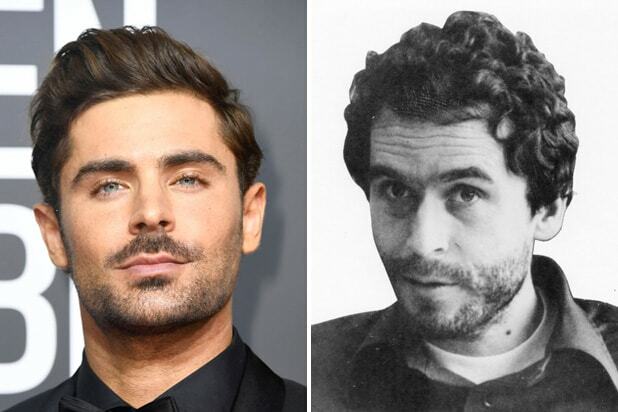 In the photo, Efron stars as Bundy, and he seems to be held up in a courtroom. “Extremely Wicked, Shockingly Evil and Vile” follows one of America’s most notorious murderers from the perspective of his girlfriend Elizabeth Kloepfer (played by Lily Collins), who struggled to accept the reality of her boyfriend’s nature. The thriller is directed by “Paradise Lost” helmer Joe Berlinger and also stars John Malkovich as Edward Cowart, the judge who presided over Bundy’s trial in 1979. Haley Joel Osment, Kaya Scodelario and Jim Parsons also star. Shortly before his execution in 1989 and after more than a decade of denials, Bundy confessed to 30 homicides that he committed in seven states between 1974 and 1978. However, the true total of his victims may never be known.